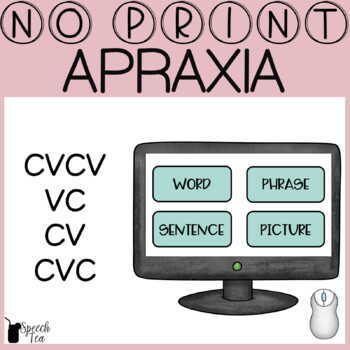 Use this versatile tool to screen, assess, monitor progress, or use during intervention of children with apraxia of speech or children working on the syllable shapes CVCV, VC, CV, and CVC. 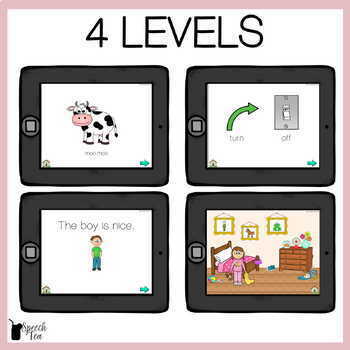 This SLP tool includes WORDS, PHRASES, SENTENCES, and PICTURE level. It also includes editable PDF data forms. 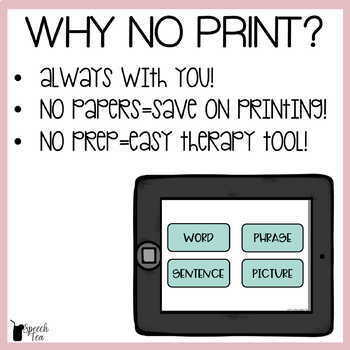 Save time, energy, and printing!! EDITABLE PDF DATA SHEET: simply input data on the computer or iPad with an editable form or print. This resource is a clickable PDF. You do not need an app. Simply download to your computer or iPad. You will click through the resource deciding which syllable shape to work on and which level you are working in. 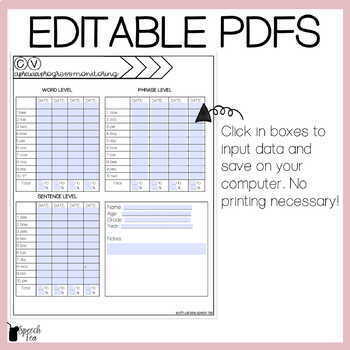 This resource includes editable PDF data sheets. Each syllable shape includes a data sheet for word, phrase, and sentence level. You can click in the boxes to insert data while on your computer or iPad or you can print the data sheets out if you prefer. *Set 1 is complete. A second set with additional targets will be added in the near future. Make sure to follow me to be notified when new products are posted for a 50% off discount! As always, please contact me with any questions at erin@speechtea.com.